BEERTOP DELTA BOTTLE OPENER | muted. 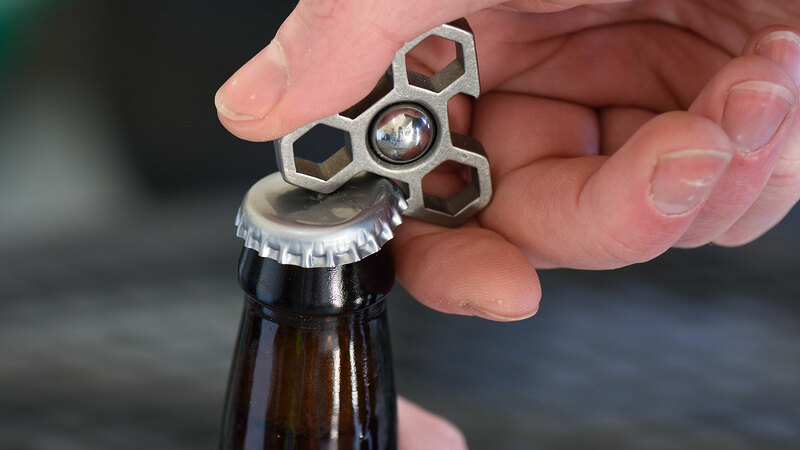 The Beertop Delta Bottle Opener ($55+) is the result of a successful kick-starter campaign and will be an essential piece at in any everyday carry arsenal, party or social gathering. Just place it atop the bottle and give it a quick spin and it’s done. It’s compact enough to easily carry around in your pocket or you could opt to attach it to a keychain. You also get a bonus. If you’re bored, the ball bearing in the middle lets you use it as a top.